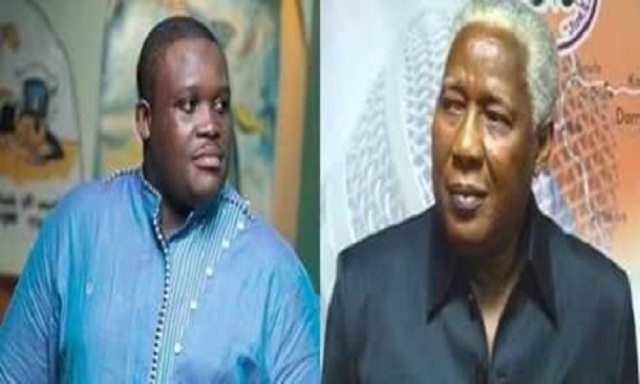 Some youth of Ningo-Prampram are seeking to stop the voting in the constituency over claims that parliamentary candidate Sam George’s name is missing in the voters’ register. The youth also allege that the voters’ register has been tampered with to favour incumbent Member of Parliament for the area, Hon. E.T Mensah. Voting is yet to start in the constituency where E.T Mensah is facing a stiff competition from presidential staffer Sam George. According to the youth who are mainly in the camp of George, over 2,000 names have been deleted from the register while other names that appeared in the register are without names and pictures. They are calling on the Electoral Commission to postpone the elections until the original voters’ register is used for the election. Starr News' Benjamin Amuzu reports that the youth have locked up the EC office and have vowed not to allow the elections to go ahead. George told Citi FM that “I am not calling for elections to be put on hold. The people of Ningo Prampram are calling for elections to be put on hold.